Brief Synopsis – A former private investigator living in hiding is discovered by an old enemy and must re-enter his old life in order to prove that he is innocent of a crime that his former lover committed. My Take on it – Over the years, I have heard so many great things about this film, yet never really had the opportunity to see what it was all about. 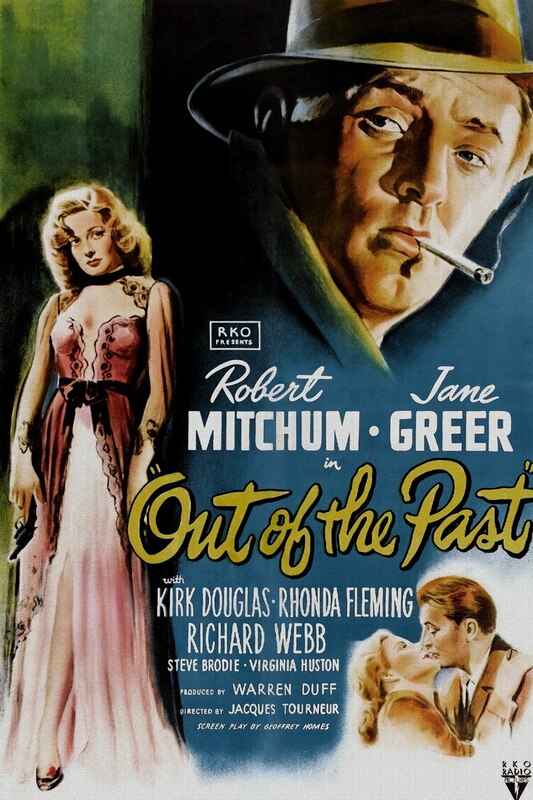 It is usually listed quite high on the lists of best noir films and this has also been touted as one of Robert Mitchum’s best performances. I must agree that he does a wonderful job in this role and even if it isn’t his best, it is definitely high on my list of his performances. He is able to find a way for us to care so much about his character especially when we quickly learn the reasons why he has been avoiding this dark worlds for so many years and is then forced to re-enter it no matter the cost. They do a great job moving back and forth in time with the story in order to give us so much information as to what has transpired and why it has happened that way. We are then more understanding as to why he has chosen to leave his old life behind with no desire to return to it. Despite this tho, we see how easily he is able to slip back into his old life and the dark world he was in as he attempts to clear his name. Jane Greer is also great here in the role of the femme fatale and manages to portray her character in various ways in order to show how demure and devious she can be when she needs to be. They do a much better job with this film than with Against All Odds (1984) the remake that they made 35 years afterwards with Jeff Bridges.